Tinea corporis is a fungal skin infection also known as ringworm of the body. The most common cause of ringworm is infection from person to person. The disease can also be transmitted from pets to humans, and then on to other people. Ringworm is a common and very contagious disease. Epidemics sometimes occur in kindergartens. 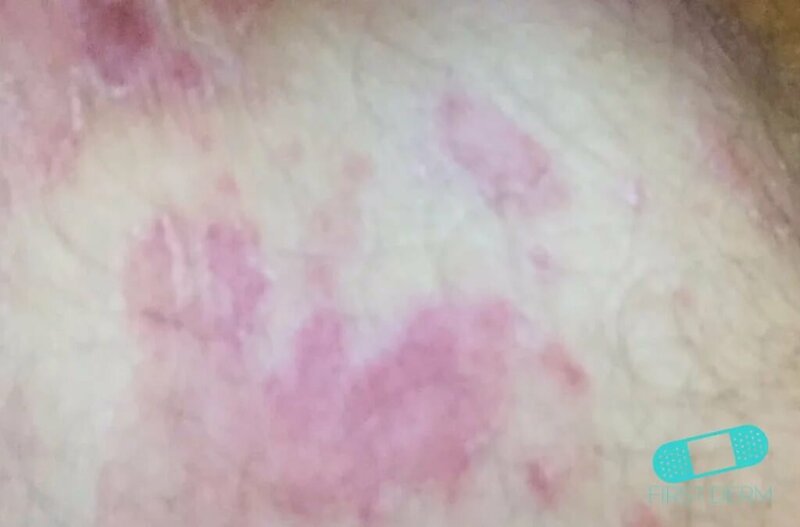 The rash looks like a ring- or circled-shape of raised pimples and usually occurs on the face, arms, and legs. The surface is often scaly and the size can vary from a few millimeters to several centimeters. When the spots become larger, they begin to heal in the middle, and then get its characteristic ring shape. Symptoms of a more severe infection include rings that multiply and merge together. You may also develop blisters and pus-filled sores near the rings. after a shower dry your skin well especially between the toes and where skin touches skin such as in the groin and armpits. If you get an itchy rash that grows in size, you should contact your healthcare provider. Ringworm does not heal by itself and needs to be treated with fungicides. Fungicides are primarily used as topical cream, but sometimes also as tablets. Tinea corporis is contagious and susceptibility is increased with poor hygiene, skin and nail injuries, and excessive sweating. Creams can treat the infection. 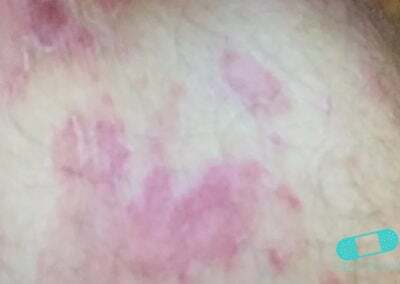 If the ringworm of the body is widespread, severe, or does not respond to the over-the-counter medicines, your doctor may prescribe a stronger topical medication or a fungicidal that you take by mouth. Griseofulvin is a commonly prescribed oral treatment for fungal infections.